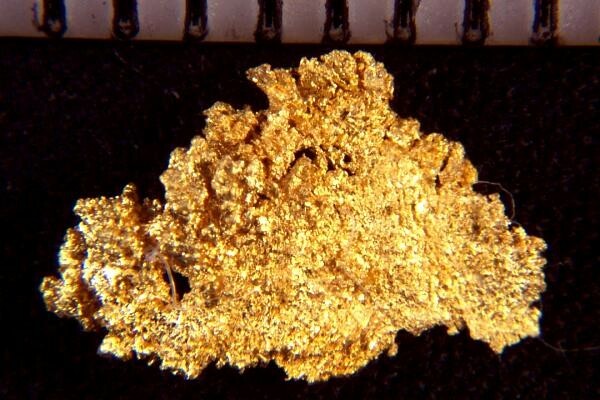 This beautifully textured Crystallized Plate Gold Nugget from Round Mountain in Nevada has amass of gold crystals attached. Plate gold is named that because the gold forms into thin "plates". 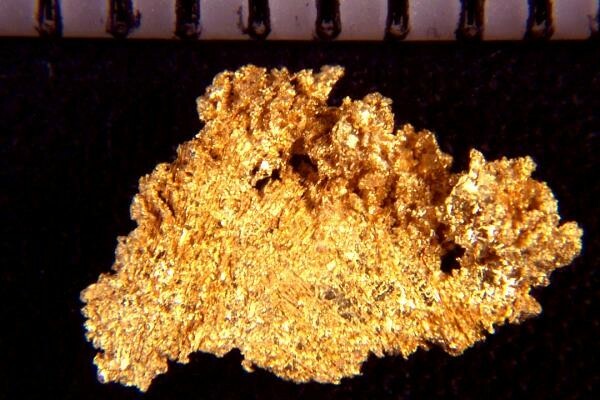 This 7/16" long gold specimen is very thin and has a large surface area. This beautiful gold specimen would make a great addition to your collection.